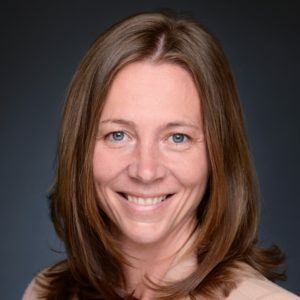 Formerly from Toronto Canada, Martha now resides in the UAE and is Head of Digital Literacy at Foremarke Dubai. She is also a Showbie Champion and an ADE. You can follow her on Twitter at @mcmccleary. Foremarke School Dubai is an academically advanced private school located in the United Arab Emirates (UAE). As a part of EKI Schools, Foremarke School Dubai belongs to a three-school network in the UAE that offers students a rigorous and balanced curriculum to prepare them for senior school and beyond. At Foremarke School Dubai, students are expected to excel in core subjects and also learn Arabic, one of the world’s most difficult languages. However, rigorous coursework is only part of what makes Foremarke School Dubai unique. The school also believes that today’s students need open communication with their peers and teachers and that technology is essential to creating this connection. This belief led the school to adopt a 1:1 iPad model in 2014. Even with a sound reason to implement technology, school leadership understood that simply having access to technology would not accomplish the goal of connecting students to their learning community. Martha worked diligently with school leadership to find the best solution for managing student classwork and to fully integrate the iPad into the daily curriculum. She piloted several workflow platforms before finding that Showbie was the best fit for Foremarke School Dubai. Showbie’s comprehensive platform allowed for differentiation in teaching, storing, and sharing student work and increased communication between teachers, students, and parents. Within a year Showbie was implemented schoolwide, and the following year Showbie was required for all teachers to use as their primary workflow tool. 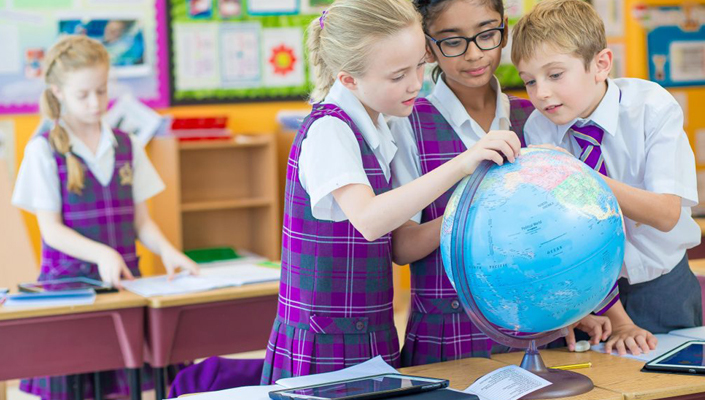 Foremarke School Dubai has used Showbie for just a few years, and its power to connect students, teachers, and parents is evident in countless ways. Parents in particular have witnessed immediate benefits with Showbie, because they now have insight into their child’s learning that was previously inaccessible. The link between school and home has strengthened, and homework is less of an obstacle with parents and students in sync with what’s being covered in the classroom. Year 3 teacher Emma Bond has also seen the benefits of connecting directly with parents in her classroom. Like their parents, students are benefiting from Showbie’s ability to streamline connectivity and communication. As shown in Martha’s recent staff surveys asking teachers for feedback on school technology, teachers see firsthand that students love Showbie and its features. Emma’s Year 3 students have also embraced Showbie with enthusiasm. Because students are so receptive to Showbie, Emma encourages her students to become independent and confident learners with technology. With each year Showbie is used in the classroom, teachers continue to find new ways to implement it into their curricula, and the app has changed the way some teachers use technology to engage students. For example, music teacher Mukami Mugambi has seen dramatic changes in the way children absorb lessons in and out of the classroom with the app’s audio recording features. Mukami also enjoys that Showbie allows her to provide parents with audio of student rehearsals. Foremarke School Dubai has had great success using Showbie to create a collaborative community, but the school hasn’t stopped there. Tapping into Showbie’s ability to alternate between languages (14, to be exact), the school has also found the app extremely helpful in teaching one of the school’s more difficult subjects – Arabic. All students are required to learn Arabic and with the majority of Foremarke’s students being non-native Arabic speakers, teachers are tasked with using different techniques that ensure students understand the language. Teachers are finding that Showbie is a powerful tool that can differentiate lessons for students to immerse both native and non-native Arabic speakers in the language. Maha Alhasan teaches Arabic to non-native speakers and appreciates Showbie’s ability to customize her lessons to each student. At Foremarke, four skills are taught to master the Arabic language: listening, speaking, reading, and writing. With Showbie’s voice recording and annotation features, students can perfect all skills on one platform, at their own pace. With Showbie’s ability to alternate between languages, Maha has found that switching between the Arabic and English keyboards has been helpful to students. Maha has also used Showbie to expand students’ Arabic learning beyond her classroom. Foremarke is steadily continuing its mission to be an academically advanced school in the UAE. With its success in building an online collaborative community as well as in helping teachers find new ways to deliver difficult material, the school is delivering on its promise to give all students what they need to succeed.